At Robot Head and Neck Surgery, we take pride in managing your journey towards better health through commitment to expert advice and the greatest care for patients. Dr Hall and Dr Cho offer comprehensive, expert assessment in the management and treatment of general ENT conditions such as hearing problems, acute and recurrent sinus infections, sleep apnoea and hoarseness or persistent coughing. We offer extensive experience in diagnosis, assessment and effective management options for cancers of the head and neck, including tonsil cancer, skin cancer excision and thyroid cancer. We are committed to working alongside specialists in your local area who offer appropriate experience in any post-operative care required such as feeding or speech and language therapy, ensuring your family doctor remains updated in your progress and fully co-ordinating all after surgery care. Our guiding philosophy in treating patients is to consider things from their perspective - How would I want my parents, brother and sister, children and loved ones to be treated? Discover more about your condition and our treatment solutions. Please start by clicking on the relevant general area below. Dr Cho brings a wealth of experience in all aspects of ENT surgery, particularly cancer care, laser surgery and head and neck reconstruction. Dr Cho's interests and expertise are in cancer care, trans-oral robotic surgery and reconstructive surgery. Dr Cho is fluent in Cantonese. Robot-assisted surgery allows the surgeon to operate through robotic arms fitted with precision instruments. This requires much smaller incisions, and gives the surgeon greater accuracy than a human hand alone can offer. Patients enjoy a shorter stay in hospital and faster recovery time. 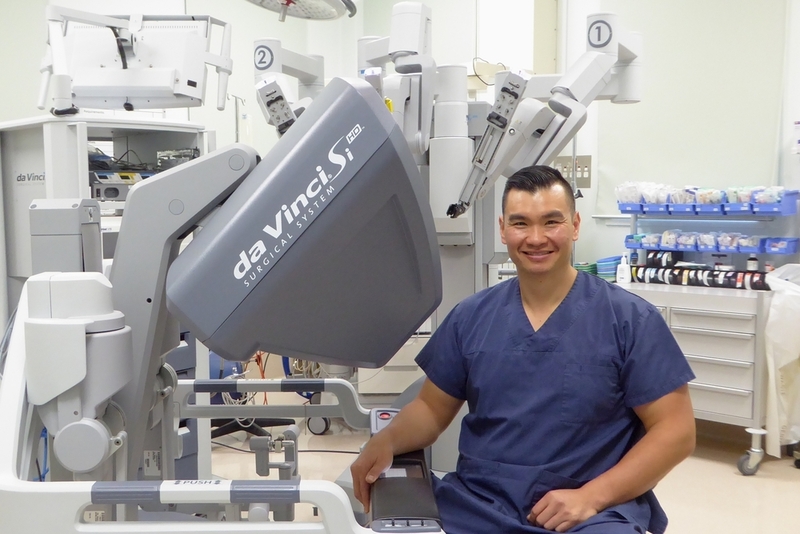 Doctors Hall and Cho have brought robotic head and neck surgery to New Zealand using da Vinci technology, and offer the first and only TORS service in this country.